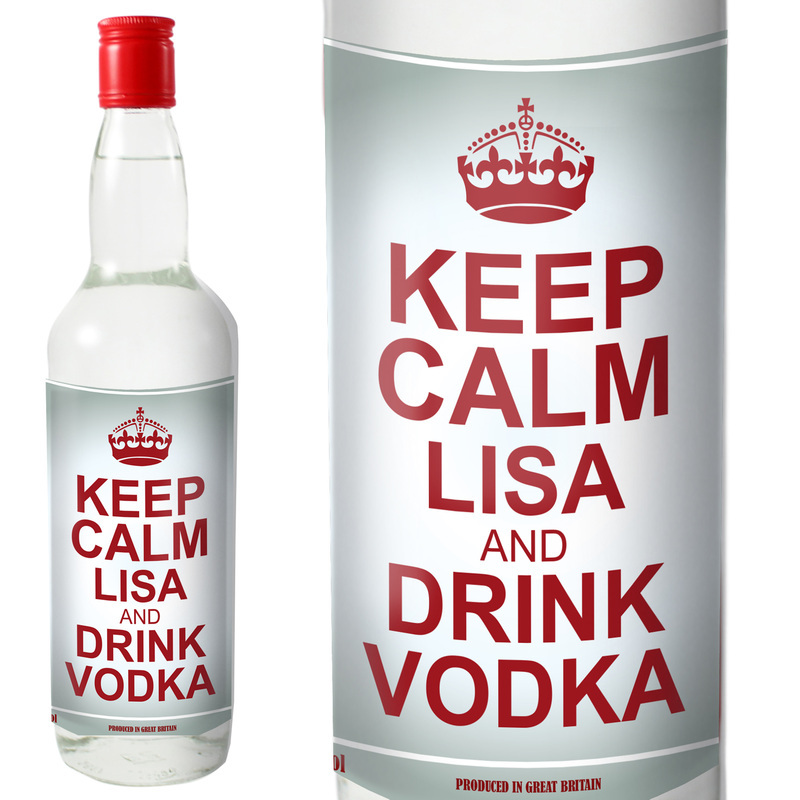 Personalise this Keep Calm Vodka with any name up to 15 characters and what they should do over 2 lines of 15 characters. 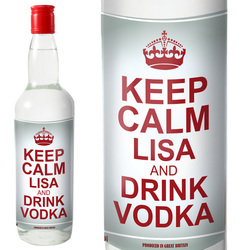 The vodka label features a Keep Calm design. The vodka itself is produced from high grade molasses, a smooth, textured vodka created by a process of triple distillation.